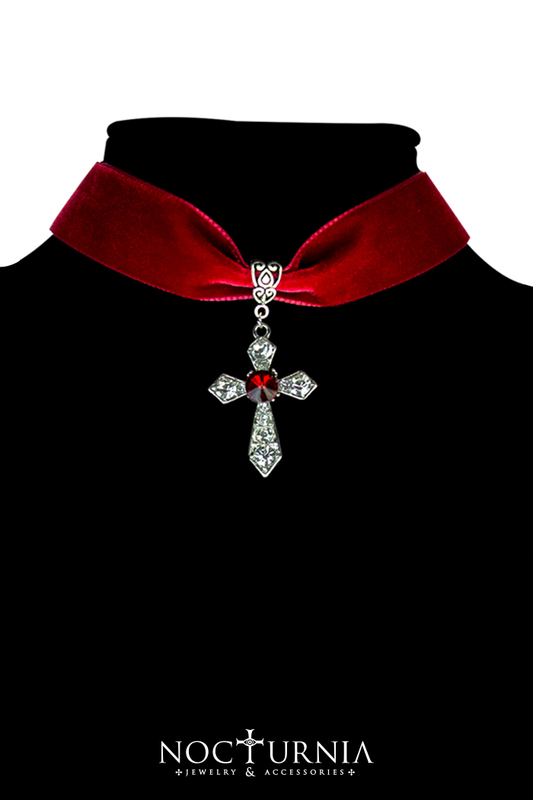 Elegant red velvet neckband, a cross pendant with red stone and small white stones around. Depth: 2 cm; Length: 34 cm + 7,5 cm chain; Height: 6 cm;Weight: 10g. Designed and handmade in Italy (velvet,zinc alloy, rhinestones).